As specialists in facial anatomy and esthetics, an increasing number of dentists are taking their skills into the world of Botox®. Often associated just with appearances, Botox® can be equally as therapeutic as cosmetic. Botox® is a purified protein that irons out wrinkles by attaching to a muscle and preventing it from contracting. When the muscles contract away from the skin, this is what causes wrinkles. This has thus far been its most popular use in cosmetic facial treatments. What most patients don’t know is this same function can relax other muscles in the jaw and face for pain relief or support of orthodontics. Botox® is applied via injection; a method in which dentists are already skilled. The effect of Botox® laststhree to four months, which means it needs to be refreshed and reapplied as long as results are desired. Being an injection, Botox® is minimally invasive, and a more conservative, more affordable alternative to surgery. For example, in the case of a high lip line, Botox® may be an attractive alternative to a major surgical procedure. The results will not last as long, but the procedure is more affordable and less invasive. Other uses of Botox® in dentistry include pain relief for TMD (temporomandibular joint dysfunction), and reducing teeth grinding (bruxism). Both of these are accomplished by relaxing the muscles associated with the pain and mouth movement. Or, if orthodontics has re-shaped your mouth and teeth, Botox® can maintain those results by keeping the muscles loose and preventing them from moving back into their original position. And someone who wears dentures can use Botox® to keep their gums and mouth soft around the new set of teeth as they get used to them. Clearly, this treatment has many uses for health, function, and cosmetics! Of course, Botox® was made popular for its simple treatment of fine lines in the skin. For some people, a whole new smile isn’t complete without rejuvenating the skin around the mouth. Healthy, white teeth are the most important part of an attractive smile. But if you want even more of a renewed look, and you are open to a temporary cosmetic treatment, Botox® can really complete the look. Dentists are already specialists in the mouth, jaw, and face, so they can professionally and expertly use Botox® for many reasons. However, not every state allows dentists to use Botox®, so you must research regulations in your state. 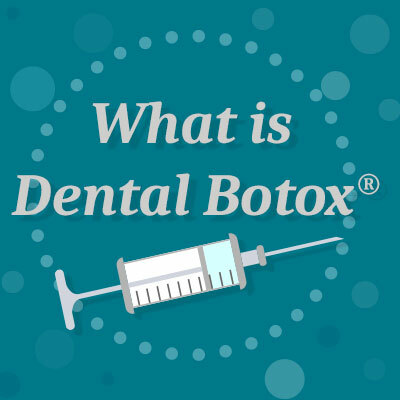 Some critics of Botox® in dentistry are concerned about proper training, but we consider the dentist office to be one of the safest options available for receiving this remedy. Side effects are rare but do include overly-droopy skin or muscles and pain at the site of injection. Botox® is approved by the FDA and is becoming increasingly popular for wrinkle and muscle treatment. Dr. Marissa Miller at Discovery Dental in Shelby is always ready to talk with patients about their many options in dentistry. Call our office today to make an appointment for a consultation.